Below is a map of UCC conferences. Pilgrim is part of the Ohio Conference, which includes churches in West Virginia and two of the three northernmost counties of Kentucky (the third county in Northern Kentucky has no UCC congregations). And here's a map of the regions of the Christian Church (Disciples of Christ). 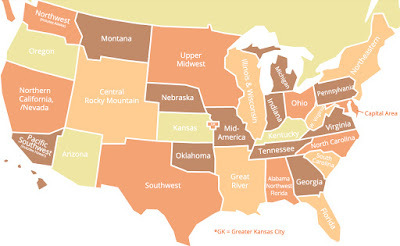 Pilgrim is part of the Ohio Region, which corresponds to the geographic borders of the state that gives it its name. 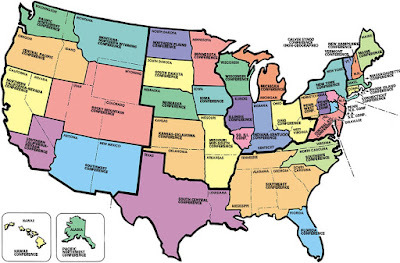 Note the difference between the two maps in the northeast, where the UCC is traditionally strong, and the southeast, where the Disciples are traditionally strong. 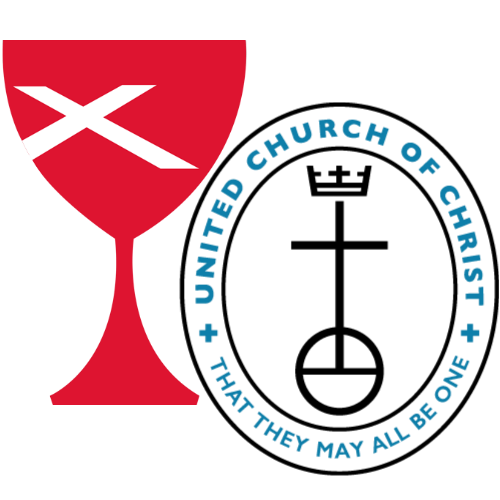 The United Church of Christ and the Christian Church (Disciples of Christ) are in full communion and share many ministries. I am scheduled to begin a Disciples history & polity course this summer and hope to have full standing as a DOC pastor by the end of the year.